Today we hiked the loop around Mt. Kineo, which I first blogged here. What made today interesting was the weather. Colorado Springs was overcast and cold, around 30 degrees F. As we ascended the Seven Bridges trail, we entered the clouds so it was foggy and ice-crystally. As we reached Jones Park, we emerged above the clouds to sunny, warm conditions. Then, we returned on Bear Creek trail and Buckhorn trail, re-entering the fog and snow. We met a friendly couple from Chicago on the Seven Bridges trail. We saw signs asking for help finding a lost dog named Lucky, but we did not see the dog on our route. I think that I need to replace my camera. It’s adding an annoying background noise to all the video. 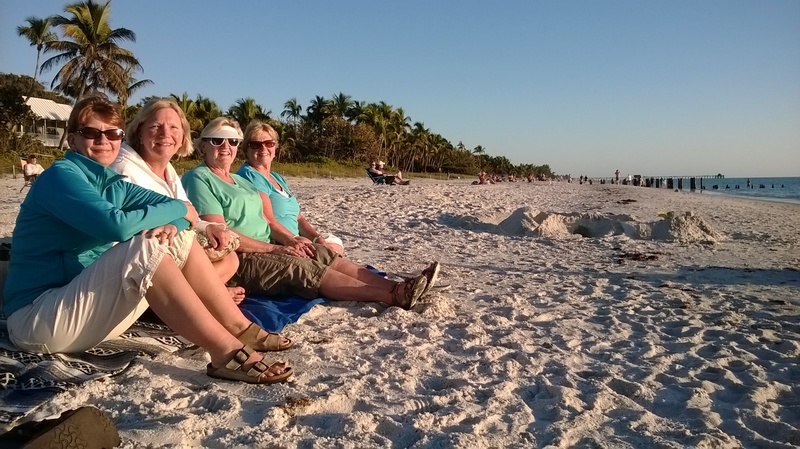 Michelle and I took a 6-day vacation to visit her aunts and sister in Naples, Florida. The weather was just great: sunny with highs in the low 80’s. (In Colorado it snowed the day we left, and snowed again the day after we returned, so that provided some nice contrast.) 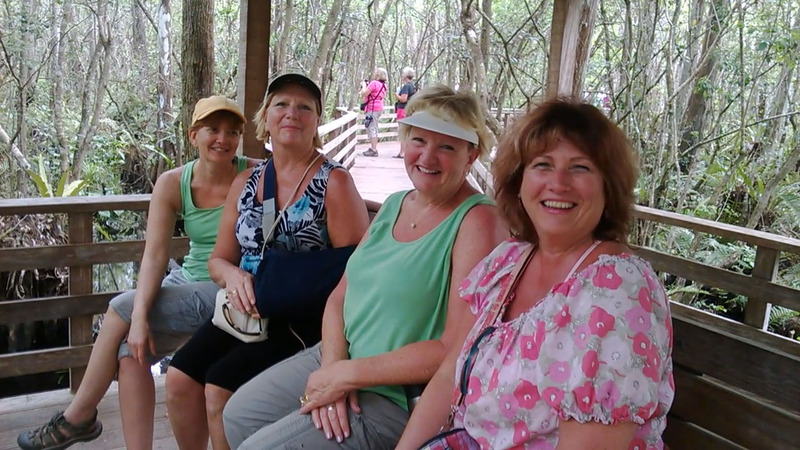 Highlights for me included visiting with everyone, walking and hiking Naples beach, beach sunsets with Michelle, dolphin-sighting at the beach, relaxing, reading, Tigertail Beach on Marco Island, Corkscrew Swamp Sanctuary, a bike ride, and good food. My Naples beach hike on Monday made for a long walk. Starting at Lowdermilk Park, I hiked the full distance from Doctors Pass to Gordon Pass and back, stopping in Old Naples for fish and chips lunch. Naples certainly has many nice private homes along the beach! 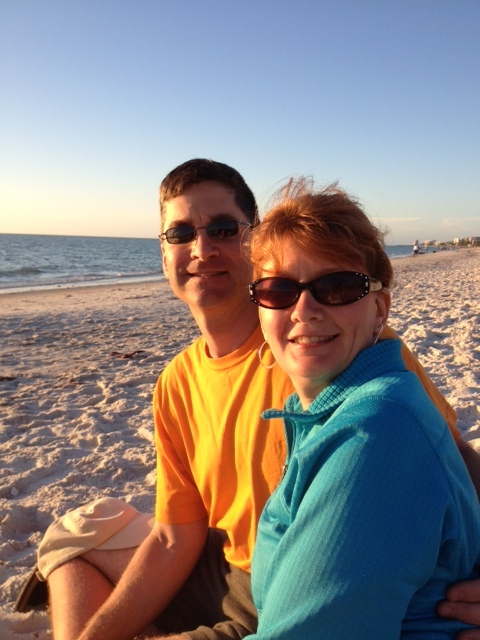 Michelle and my visit to Naples Beach for a sunset happened to coincide with Fat Tuesday celebrations in Old Naples. We got lucky finding a parking spot, and enjoyed the crowds and street musicians that night. The Corkscrew Swamp Sanctuary is run by the Audobon society. It includes a section of old growth Bald Cypress forest with trees over 500 years old. I know so little about the Everglades wetland ecosystem and the wetland birds, but it was interesting to learn a little about it. Michelle’s Aunt Fran was most welcoming and hospitable to us. Thanks, Aunt Fran!